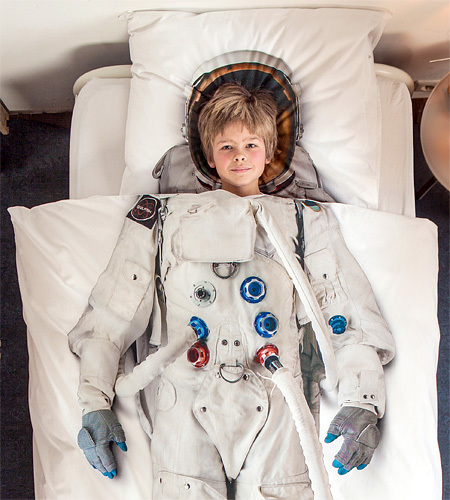 Creative bed sheets would make a great addition to the bedroom of anyone who dreams of becoming an astronaut and going into space. 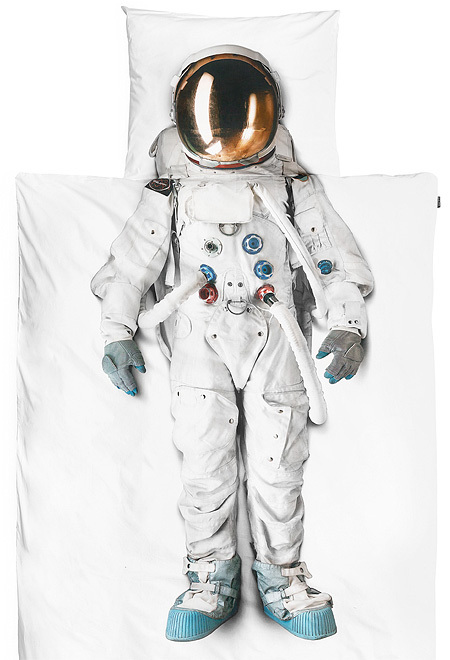 Astronaut suit bedding and helmet pillowcase were designed by Snurk. 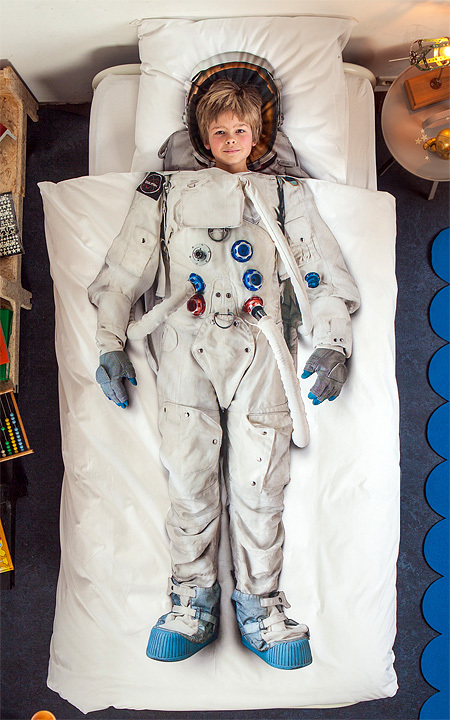 I agree with Ru, There needs to be one for a double bed! :) BUt this is great, I love it! Way too Cute. I can see King Kong and Tarzan coming to the sheets soon. But guys, this, like 3D chalk art, would really only make the illusion from a bird’s-eye view. 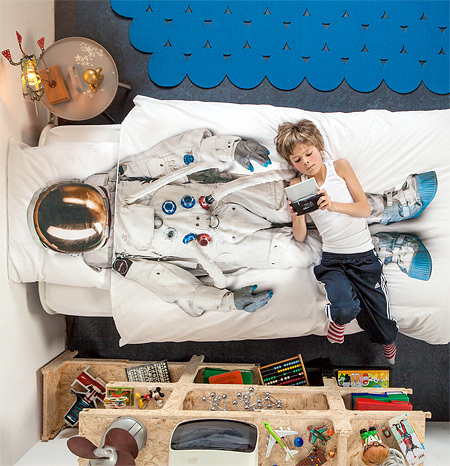 The viewer would need to be looking down into a pit-like bedroom to see it.